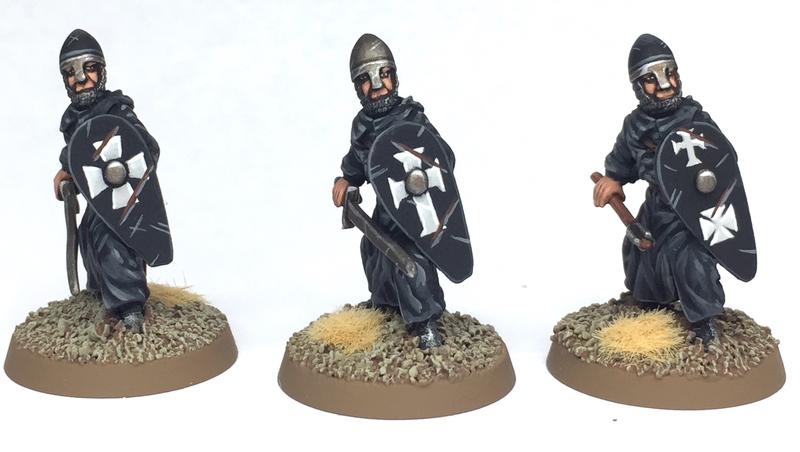 We have two melee sergeants, a ranged sergeant and three new knights. 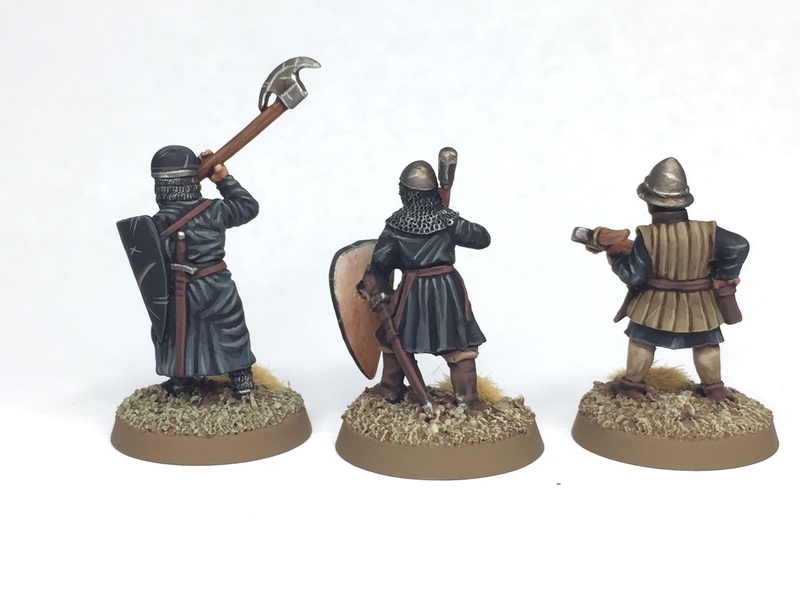 Overall I'm really pleased with how these guys turned out (especially the free hand on the shields) and I'm looking forward to getting them on the battlefield! Quality stuff, especially the crossbowman. What make are they? Cheers mate. 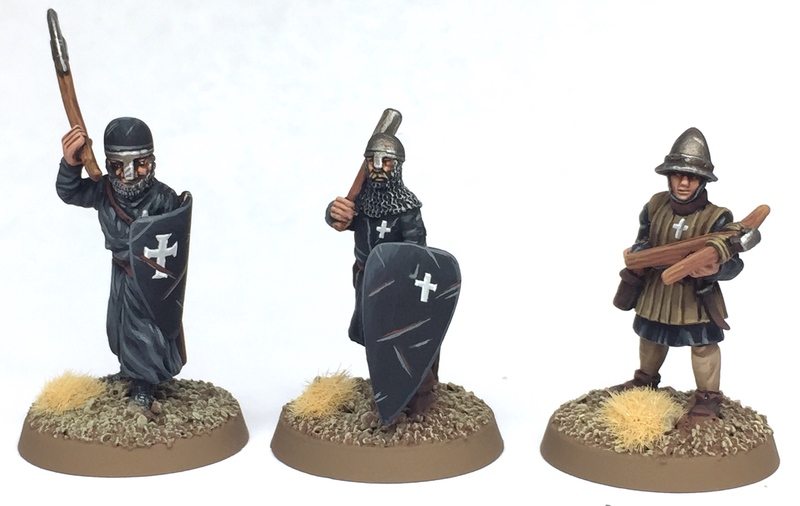 Most of them are Essex Miniatures (they are one of the few companies where the Hospitallers accurately wear robes over their armour as opposed to Templar-esque surcoats and mantle. Ironically the only one whose origins I can't remember is the crossbow man… he was just in my pile of lead so I picked him out and painted him up! Nice. I had forgotten about Essex. Like the miniatures, not keen on their horses. Ahhh yes that's the one!! 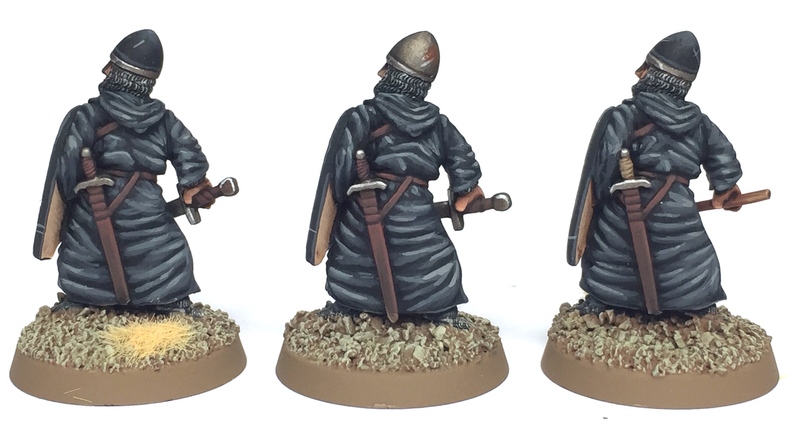 Is there any particular reason for the crossbowman's padded armor to be tan? 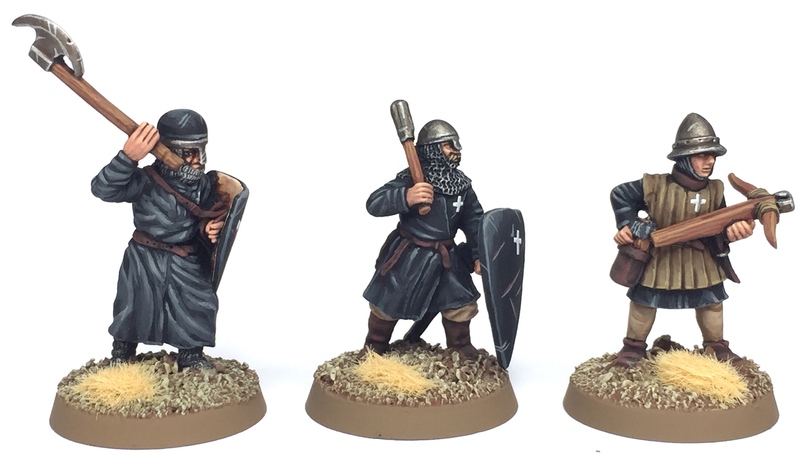 Not just a Hospitallers thing, as pretty much all of them I've seen pictured, no matter who they fought for, are shown in tan. 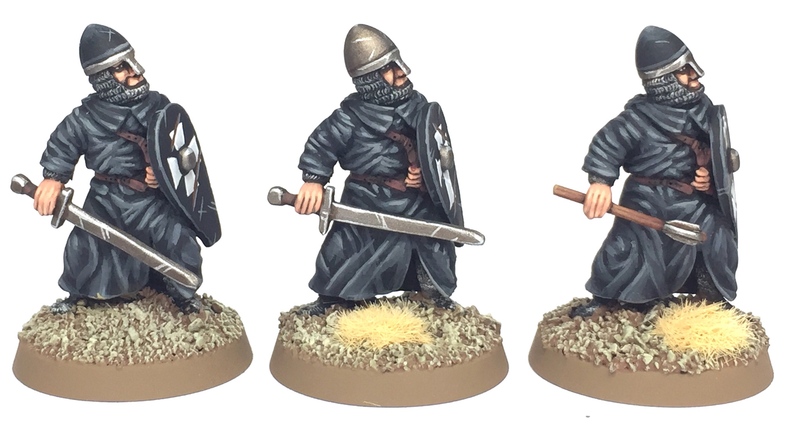 And, yes, whenever I've painted this sort of armor, I've done in it in a tan/khaki color. Natural wools would tend to be lighter in color. If you're going to go to the added expense of bleaching or dyeing the cloth, you'd think somebody would have gone for their national/regional/organization/coat of arms color. Or is it supposed to be leather (which can also be dyed or even painted on)?